Thanksgiving has come and gone, but if any segment of workers deserves special thanks, it’s truck drivers. Whenever you buy groceries, electronics, or some other consumer good, that item probably touched a truck on its way to your home. 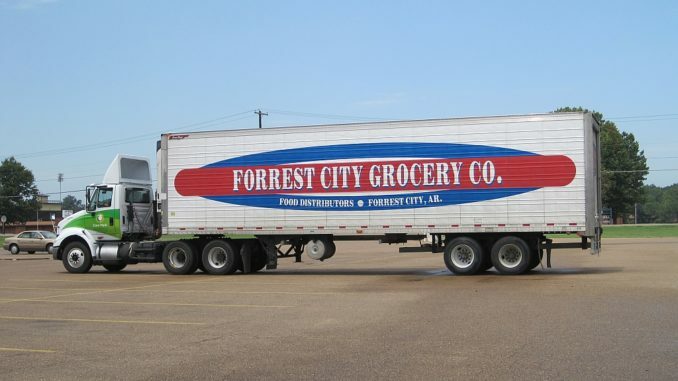 This became clear when a recent analysis, released Monday, showed that the shortage of truck drivers in the United States has raised the price of groceries. The analysis, from Advanced Training Systems (ATS), was reported by Supermarket News. While the US economy has expanded, the number of truck drivers hasn’t gone up enough to deliver all the desired products. As a result, the shipping companies have had to increase costs to procure enough truck drivers for their freight. The costs for new truck drivers is then passed on to consumers. The rise in prices for everyday goods like groceries is especially hard on the average American worker. While average Americans paychecks have risen, their real wages (i.e. how much they can actually afford) has barely increased in decades, according to the Pew Research Center. As groceries go up in price, the family budget gets tighter and tighter. In an era of record stock buybacks, working Americans are feeling the crunch. But What About the Truck Drivers? The good news about truck driver shortage is that the basic laws of supply and demand have led to an increase in their paychecks. Truck drivers are in high demand. At Class A Drivers, we make it easy to simply create a driver account and get instantly connected with trucking companies who are anxious to hire qualified drivers. We’ve even created a “Become a Truck Driver” guide that will help jobseekers and aspiring drivers get into the business of driving in just 3-6 weeks. More truck drivers should result in lower shipping costs for goods such as groceries. But as the number of truck drivers goes up, are their wages destined to fall? We propose that the entire trucking industry get together to resolve the truck driver shortage in a way that respects driver wages and keeps costs low for consumers. For this to work, the entire trucking industry needs to evolve. Technological innovations such as electric vehicles may save money on fuel, which would enable drivers to pocket the extra money. And trucking companies should be open to such innovations because they can hire more drivers when they offer better pay. Truck driver wages aren’t the only way to recruit and retain additional drivers either. Our own internal research shows that drivers demand more home time, more communication, and more respect. How do you think the trucking industry can accommodate both higher wages for truck drivers and lower prices for the end consumer? Let us know in our forum and on social media.